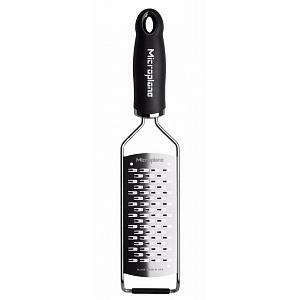 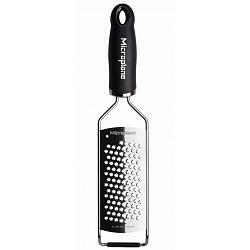 The Microplane gourmet series star grater is the perfect tool to grate spices, hard cheeses, ginger, garlic and more. 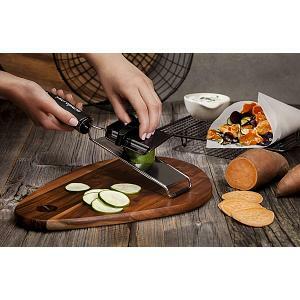 The gourmet series graters feature a paddle shaped design with an ample grating surface and ultra sharp photo etched teeth that make fast work of whatever food you are grating. 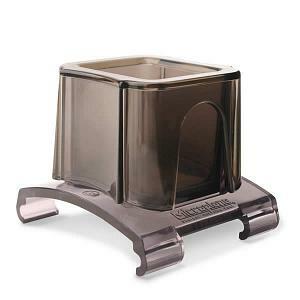 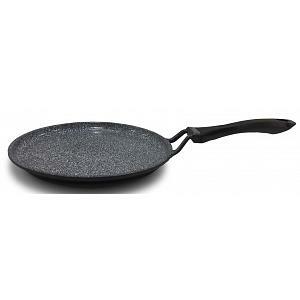 Its stainless steel frame is made in the United States and offers extraordinary durability. 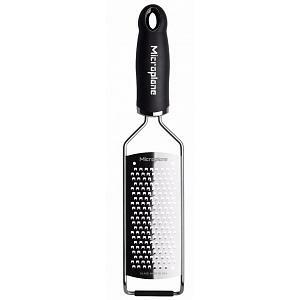 The star grater has a soft-touch handle with an ergonomic shape that doesn't slip, even if your hands are wet. The grater is dishwasher safe and includes a plastic cover for safe storage.